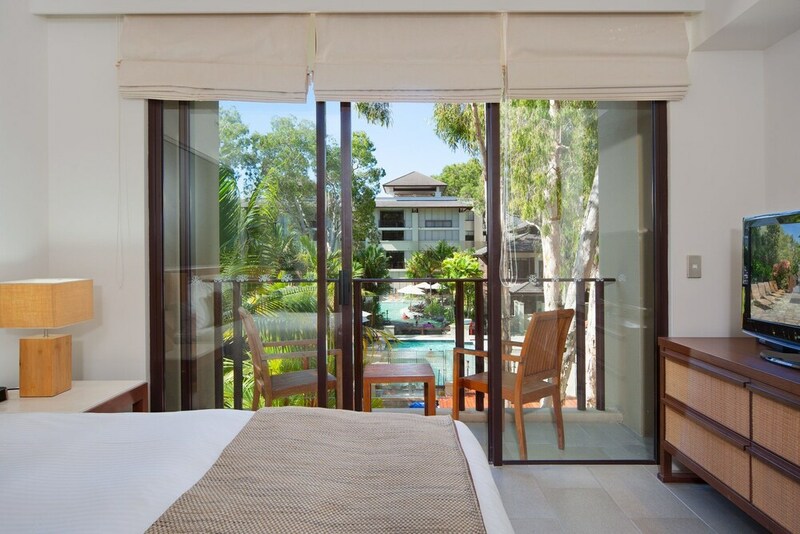 When you stay at Private Sea Temple Studio 212 in Palm Cove, you'll be near the beach, a 1-minute drive from Palm Cove Beach and 5 minutes from Clifton Beach. This beach hotel is 8.4 mi (13.5 km) from Great Barrier Reef and 1.4 mi (2.3 km) from Clifton Village Shopping Centre. Make yourself at home in one of the air-conditioned rooms featuring refrigerators and DVD players. Rooms have private furnished balconies. Flat-screen televisions with cable programming provide entertainment, while complimentary wireless Internet access keeps you connected. Private bathrooms with separate bathtubs and showers feature jetted bathtubs and hair dryers. At Private Sea Temple Studio 212, enjoy a satisfying meal at the restaurant. Quench your thirst with your favorite drink at the poolside bar.